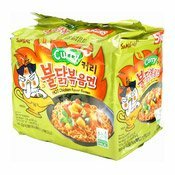 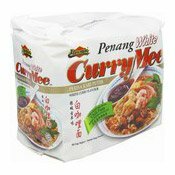 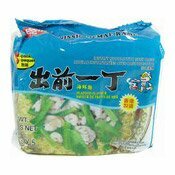 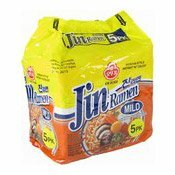 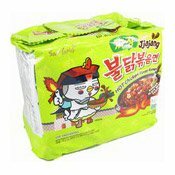 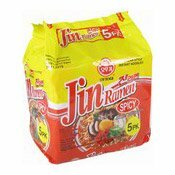 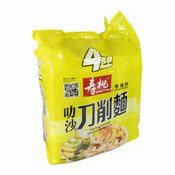 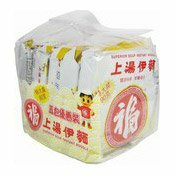 Ingredients: Noodles (76%): Wheat Flour(51%), Tapioca Starch (15%), Palm Oil (10%), Wheat Gluten, Salt, Soybean Oil, Water, Thickener (Guar Gum[E412]), Acidity Regulator (Potassium Carbonate[E501], Sodium Carbonate [E500], Sodium Phosphate Dibasic [E399], Sodium Polyphosphate [E452], Citric Acid [E330], Emulsifier Lecithin [E322]), Colour (Riboflavin [E101]). 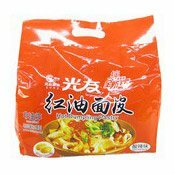 Soup (22.2%): Water, White Sugar, Soy Sauce, Artificial Chicken Flavour Powder, Soybean Oil, Curry Powder, Yeast Extract Powder, Onion Powder, Salt, Non Fat Dry Milk Powder, Red Pepper Powder, Garlic Powder, Tapioca Starch, Black Pepper Powder. 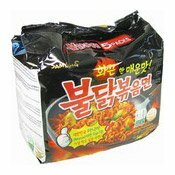 Flake (1.8%): Dried Potato Fries, Dried Carrot, Textured Vegetable Protein. 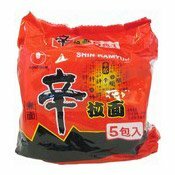 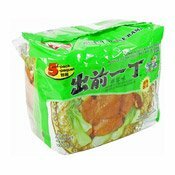 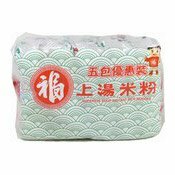 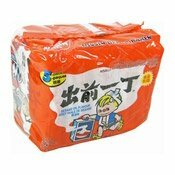 Simply enter your details below and we will send you an e-mail when “Instant Noodles Multipack (Hot Curry Flavour) (三養香辣雞咖喱味拉麵)” is back in stock!